Brianna felt ‘betrayed’ after she was diagnosed with stage one ovarian cancer. A QUEENSLAND woman has revealed her "sixth sense" may have saved her life after a urinary tract infection turned out to be a life-threatening tumour. 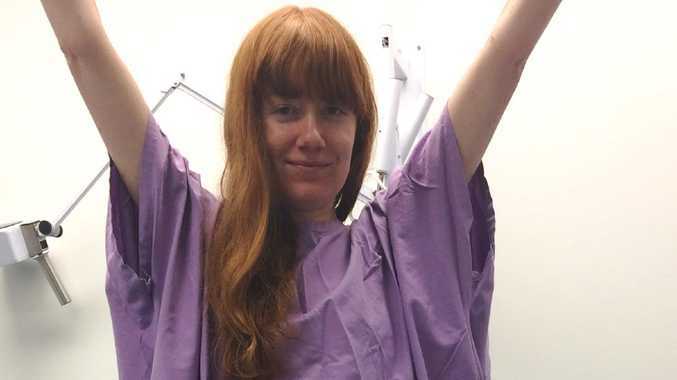 Brianna Fryer, 31, was diagnosed with ovarian cancer after spending almost a decade living in the UK, and said the shock felt like her body had "betrayed" her. Before the devastating news she had cancer, Brianna had discovered she had polycystic ovary syndrome in 2015 after enduring a nine-month-long period. As a result, she was warned by doctors to head directly to hospital if she experienced any pain. Despite the warning, Brianna, like many young professional women, admitted she "didn't pay much attention" to her body, preferring to work and indulge in all that London had to offer. "I would often be so obsessed with work that I would run myself into the ground and totally neglect my body," she said. 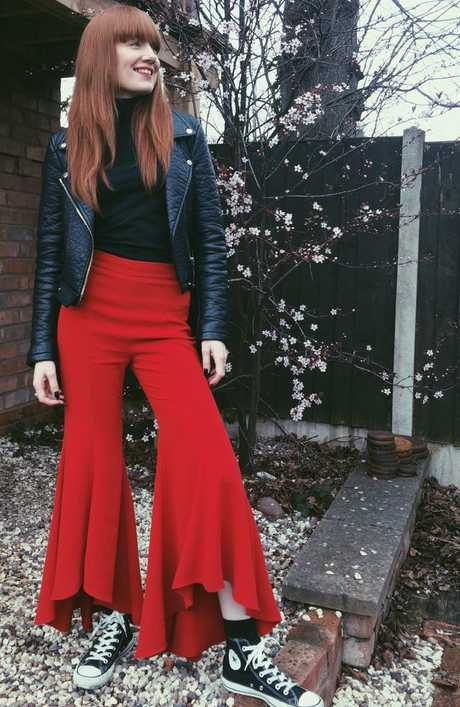 Brianna worked as a fashion stylist in the UK for almost a decade. Suddenly, in 2016, Brianna was overwhelmed with a feeling that she "had to come home" to Australia. "I felt as though something really wasn't right and I had to get myself home," she said. "I was mentally and physically starting to wear and I didn't feel happy so when I returned home I realised I needed to check in with myself and my health." She flew home and moved to Brisbane in April, 2017. Brianna flew home to Australia after a building sense that something wasn’t quite right. 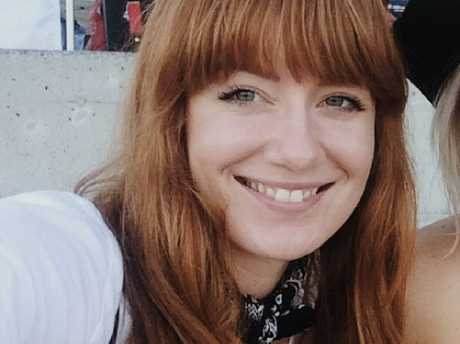 After a few weeks in her new flat, which she shared with her flatmate named Sam, Brianna woke one morning to a "freakish pain" on the ride side of her body. "The pain was shooting up and down my body and started to get progressively worse," she said. "It escalated so much that I couldn't even cry." After trying to dull it with pain killers, Sam eventually took Brianna into the emergency department. Her doctors believed her symptoms were a urinary tract infection but Brianna's gut told her something was seriously wrong. 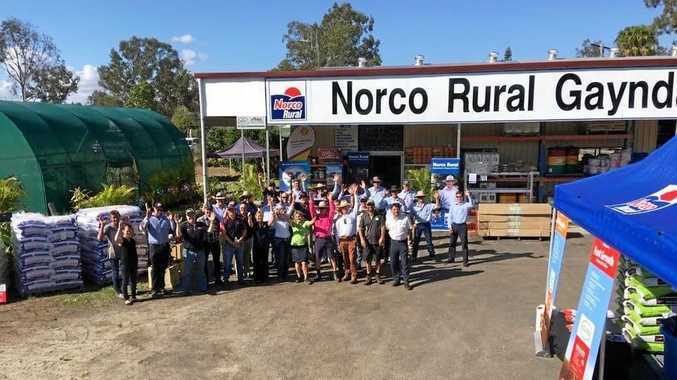 "I reminded them that I had polycystic ovaries and they kept me in hospital overnight and did an ultrasound on my right side after that," she said. Doctors were stunned to find that Brianna's right ovary was almost completely obscured by a monster cyst, reaching almost 8cm in diameter. 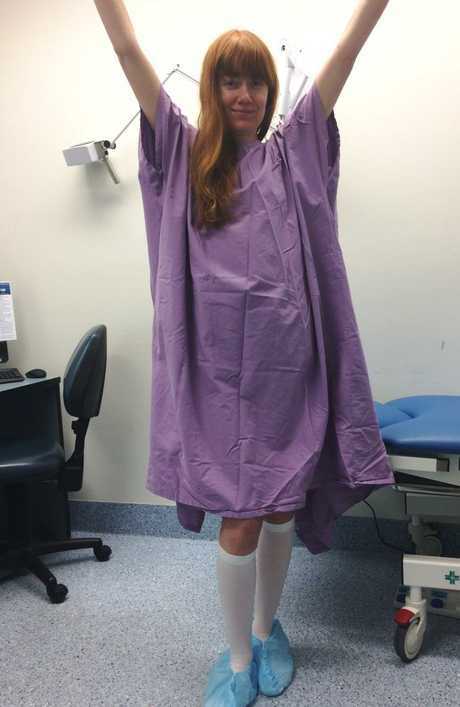 Brianna preps for surgery to remove the deadly tumour. 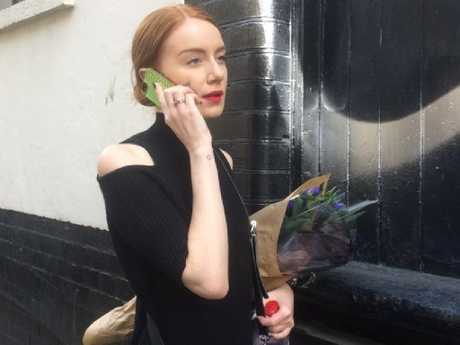 A gynaecologist told Brianna that the cyst was "practically taking over my uterus" and was at risk of turning in its axis. "If it had started to turn it would have ruptured my ovaries and then I don't even know if I would still be here," she said. Brianna was raced into hospital for emergency surgery and the cyst was successfully removed. A short time after she was discharged, Brianna said she had a strange feeling that something still wasn't right with her body. The next month, she was then called back into hospital urgently after doctors discovered the cyst they removed was, in fact, a deadly tumour. "In typical fashion, I was putting work before my health, and I actually asked the hospital, like a school kid, if I had to go in right away or if I could put it off," Brianna said. But after she was given the devastating news that she had Stage 1 ovarian cancer, she realised her intuition had been right all along. "I just froze, then I burst into tears," Brianna said. 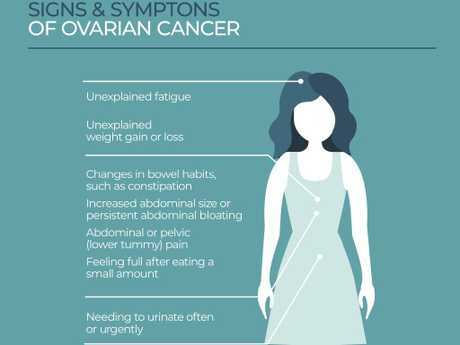 According to Ovarian Cancer Australia, more than 1600 Australian women are diagnosed with ovarian cancer each year. More than 1600 Australian women are diagnosed with ovarian cancer each year. Surgeons removed Brianna's right ovary just before Christmas in 2017 and managed to save her left ovary but gave her very little chance of falling pregnant. "I had never really wanted to have children, but the prospect of not even being able to choose that path really upset me," she said. "I felt so very betrayed by my own body." By this time, Brianna and her flatmate, Sam, had become a couple and by January last year, she was given a clean bill of health. "I felt very crippled so I started writing poetry to try to heal myself," she said. "I was writing through my vulnerabilities and growing more confident in myself with my new partner." A month after she was dealt the devastating news that her ovarian cancer may not allow her to ever fall pregnant, the couple discovered they were expecting a baby boy. Sam holds Brianna and her baby bump months after she thought she wouldn’t be able to conceive. Brianna said if she didn't listen to her intuition, she may not be here today with a beautiful family. "It's such a powerful message to send to women: listen to your intuition," she said. "When something isn't right and it floods your mind, it's so important to tune into it and act." 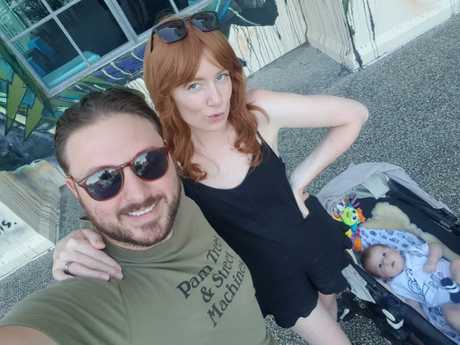 She added that the experience of living with ovarian cancer and coming out the other side with her partner had made her feel very "ready to be a mother". "I really do appreciate who I am now and I love myself and my body," she said. "It sounds a bit cheesy but I feel much more mature and content with myself now." Brianna celebrated her 32nd birthday this week and said she hopes her story can inspire other women to stop and check in with their bodies more often. "A lot of people are so ambitious and want to live a hectic lifestyle that involves heavy social outings and working non-stop," she said. "But I now know how important it is to always try to put your body first and love yourself." The young family pictured in happier, healthier times this year. Brianna is sharing her story during February's Ovarian Cancer Awareness Month. Each day, four Australian women are diagnosed with ovarian cancer. Ovarian Cancer Australia CEO Jane Hill said that the disease is taking mothers, daughters, wives and sisters. "Each day, four Australian women are diagnosed with ovarian cancer and three will die - that's almost 100 women every month," she said. "If found in its early stages, women have an 80 per cent chance of being alive and well after five years." Brianna said listening to your body is vital to detect something before it turns serious. Make a donation to Ovarian Cancer Australia throughout February or wear teal, the international colour for ovarian cancer. Teal Ribbon Day is on Wednesday, February, 27. Brianna has fully embraced her clean bill of health and wonderful surprise pregnancy.